Chili is one of those delightful foods — like spaghetti and takeout Chinese — that tastes more delicious on the second day than the first. 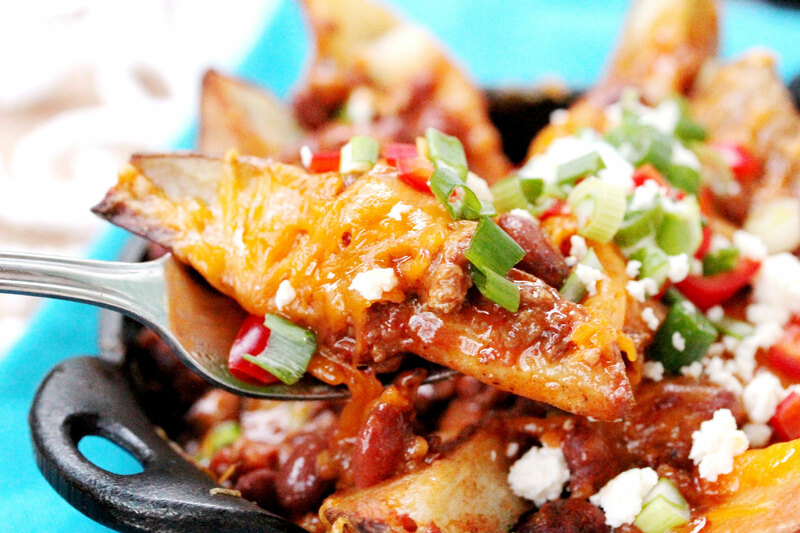 Even better, leftover chili combines well with a plethora of other foods to be magically reinvented as a totally new dish. 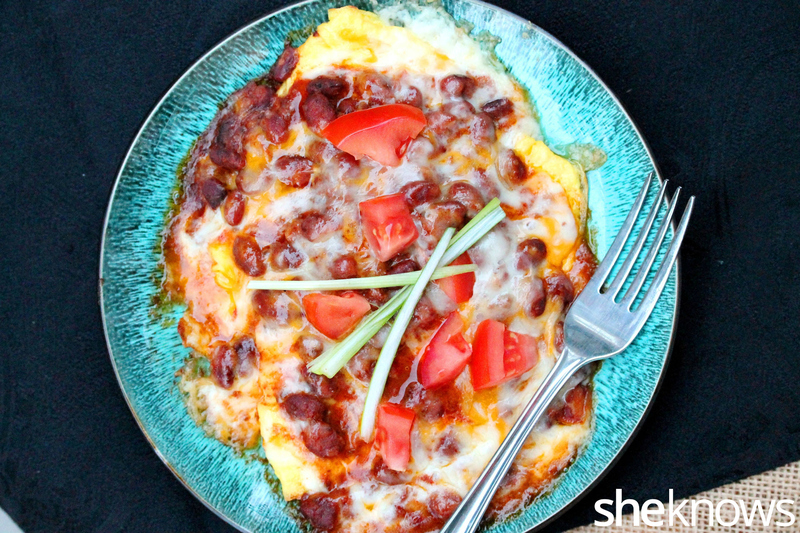 Whether you’re looking to start your day with a hearty omelet or are searching for an inventive spin on nachos to serve on football Sunday, you really can’t go wrong with leftover chili. 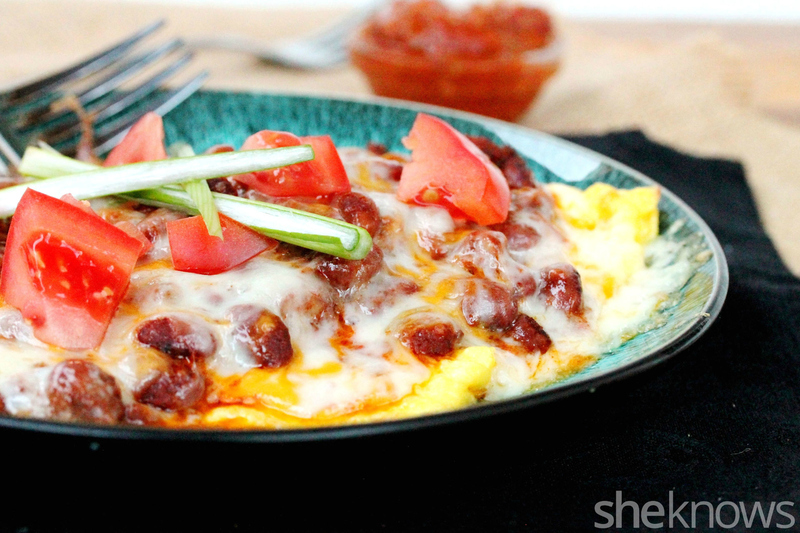 This hearty breakfast is super easy: Just scramble some eggs and pile the chili and cheese on top. A great way to get your day off to a good start. A heavenly chili omelet with melted cheese inside and out and topped with fresh-cut tomatoes is a another wonderful way to start your day. To a medium-size bowl, add the eggs and milk. Whisk together. Heat a large-size skillet on low to medium heat, and add the butter. Tilt the skillet to move the melted butter around the bottom of the pan, and then add the eggs. As the eggs are slowly cooking, use a spatula to gently move the eggs cooking on the outside edges of the pan toward the middle of the pan so that some of the uncooked egg can flow to the outside edges to cook. After this has been done a couple of times, turn the heat to low, and cover the pan. Let the eggs cook with the lid on for about 3 or 4 minutes, then top the eggs evenly with 1/2 the cheese. Using a spatula, carefully flip 1 side of the eggs in toward the other to form an omelet. Cover the pan with a lid, and continue to cook until the eggs are thoroughly cooked. Serve while hot. Top with the heated chili and remaining cheese. The cheese should melt from the warmth of the chili, or the serving plates can be put in the microwave for just enough time to melt the cheese. Garnish with tomatoes and green onion. 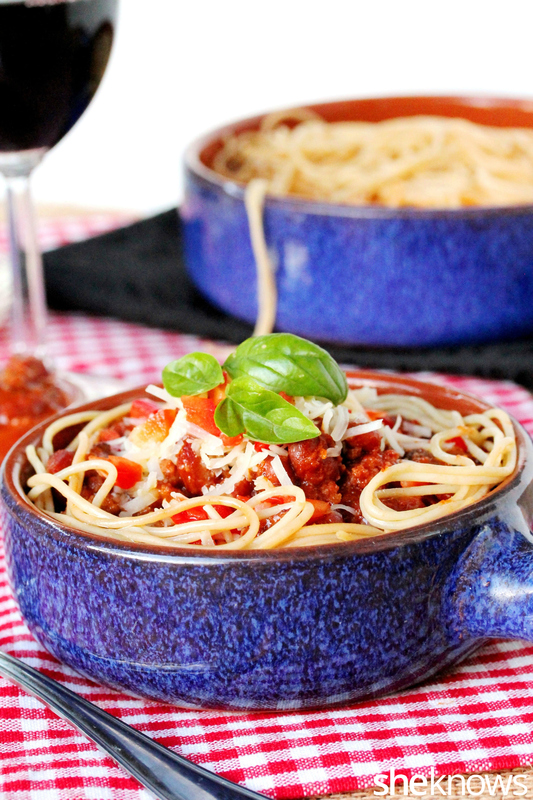 For those times when you can’t decide what to make — chili or pasta — why not make them both into one delicious dish? It couldn’t be easier to make. 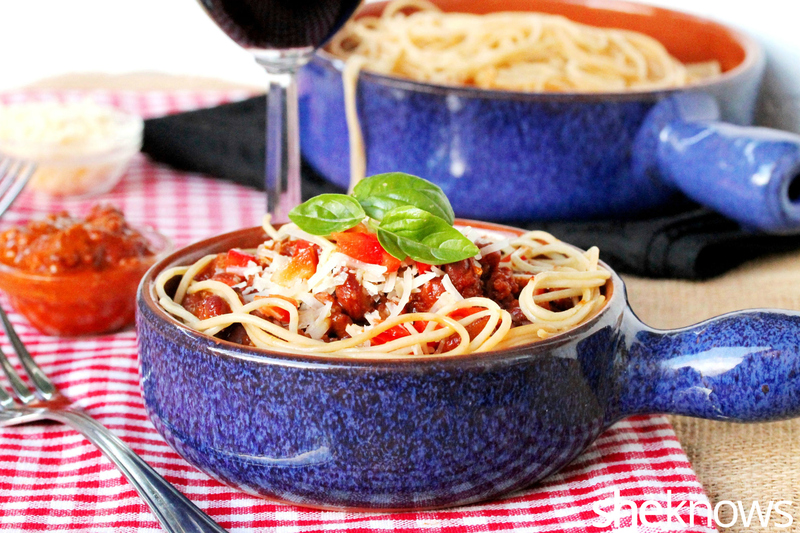 Add the spaghetti noodles to the serving dishes, and top with the heated chili. Drizzle olive oil evenly on top of the pasta dish. 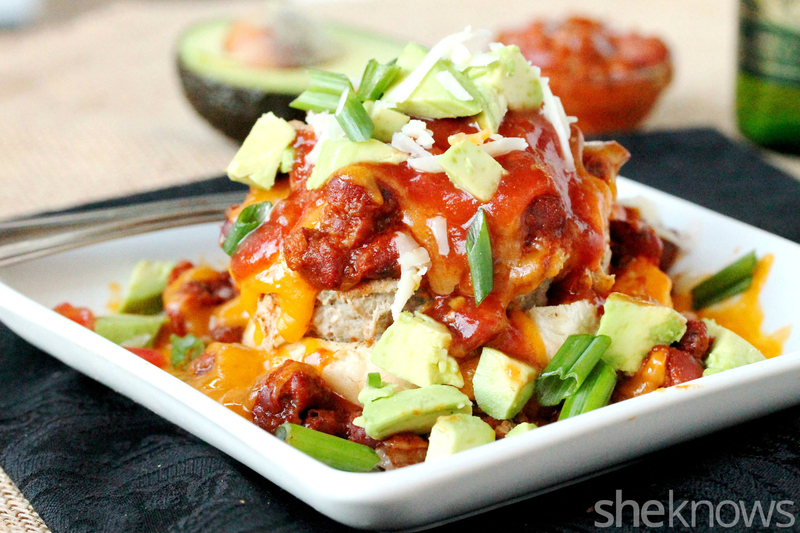 A chili size (also known as a chili burger) made with turkey and with piled-high chili, melted cheese, salsa and lots of avocado makes a meal you’ll have to dig into and eat with your fork. Add the garlic powder, pepper and salt to both sides of the turkey patties. Heat a medium-size skillet on medium heat, and add the olive oil. Add the ground turkey patties, and let cook until the bottom sides start to brown (about 8 minutes). Flip the patties, and let the other sides cook until they start to brown. Cover, and cook until the burgers are thoroughly cooked. While the burgers are cooking, toast the buns. Set 1/2 a bun cut side up on each serving plate. Add a turkey patty to each half, and top with the heated chili. Top with the cheddar cheese. The chili should be hot enough to melt the cheese, but if not, then warm in the microwave just long enough to melt the cheese. Top with salsa, Jack cheese, avocado and green onion. 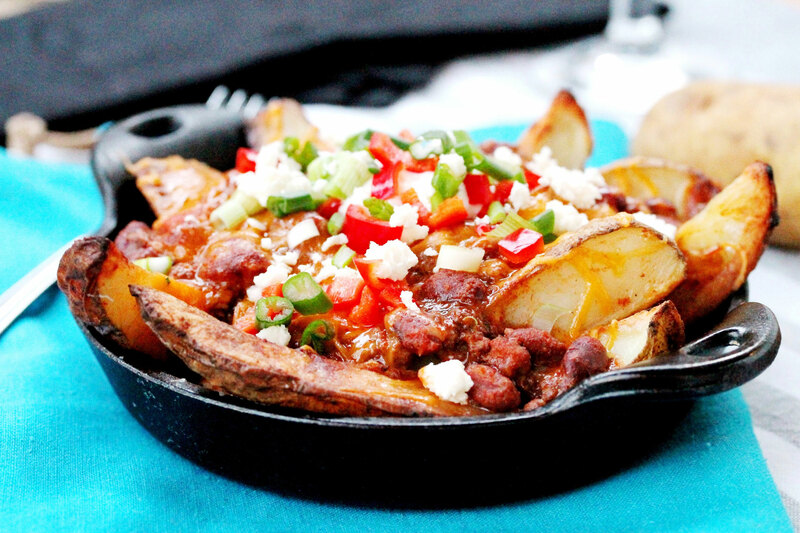 Just when you thought steak fries couldn’t get better, they do with piled-high chili topped with melted cheese, onion and tomato. 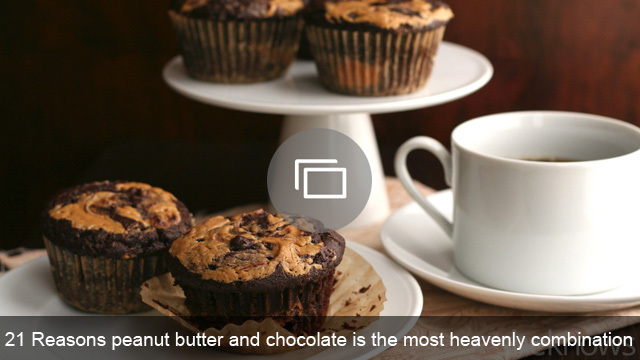 It’s the ultimate finger food. With the skins on, cut the potatoes in half lengthwise. Then cut each half into thirds, lengthwise. To a large bowl, add the potatoes, olive oil, pepper and salt. Mix together until the potatoes are evenly coated. Onto a large cookie sheet, lay the potatoes facedown (on one side of the potatoes). Bake until the potatoes are cooked through and turn a golden color (about 25 to 30 minutes). Using a spatula, carefully remove the potatoes from the cookie sheet, and transfer them to ovenproof, single-serving pans or dishes. Leave the oven on. 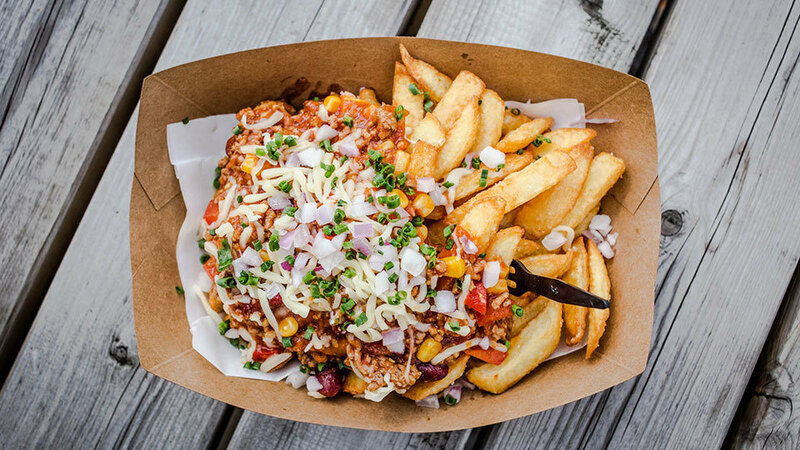 Top the fries with heated chili and cheddar cheese. Put them back into the oven just long enough to melt the cheese. Top with sour cream, Cotija cheese, green onion and bell pepper. Originally published February 2015. Updated November 2016.